In 1995 renowned Italian novelist and philosopher Umberto Eco published a historic article in the New York Review of Books. As a child growing up in Fascist Italy, Eco outlined the fourteen features of what he called Ur-Fascism, or Eternal Fascism. These are warning signs for any society slipping down the oft-invisible slope towards totalitarianism. In the age of Donald Trump, Marie Le Pen, Norbert Hofer, and Geert Wilders, his words resonate with an especially urgent alarm. Since the election of Benjamin Netanyahu, the longest to serve in power of the alt-right populist politicians to sweep the polls, the Israeli government set out on a campaign of incitement against minorities and dissidents, amplified its persecution of political leaders, and expanded its police-state from the occupied Palestinian Territories to all who question government policy. These moves all come at the heels of a wave of anti-democratic law proposals aimed at criminalizing dissent and expanding Israeli colonialism. 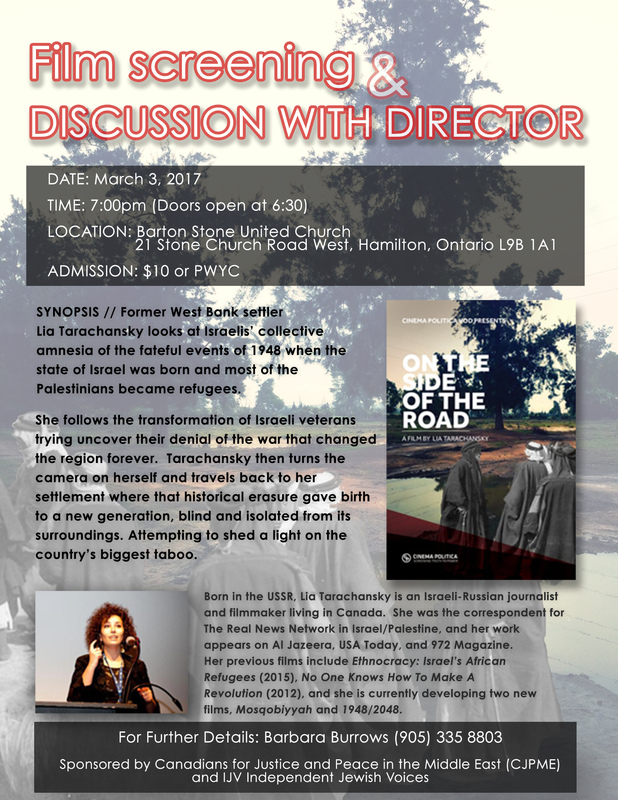 In an upcoming tour across Canada , Israeli journalist-filmmaker Lia Tarachansky uses Eco’s framework to show how these alarming trends led her society to slide down the slippery slope towards Ur-Fascism and how some are fighting to democratize Israel/Palestine. Oppose Canada’s renewal of the military training mission to the Ukraine.